Welcome to the Moselle to Mozart tour, a taste of some of the best cycling Germany and Austria has to offer. After arrival in Frankfurt we begin our tour just north of Trier near to the border with Luxembourg. From here we follow the Moselle River to The historic city of Koblenz where we meet the mighty Rhine. We follow the ‘Romantic Rhine’ south to Heidelberg and the River Neckar where we head into the hills and cycle across to Rothenburg through the forested Jagst Valley and a number of quiet farming villages where time seems to stand still. We have a rest day in Rothenburg which is a fantastic place to visit. We will continue through the picturesque Altmuhl region to Regensburg where we meet with the Danube and follow the river into Austria along some of Europe’s best cycle trails. We will pass through many attractive Austrian towns and villages as we continue along the Danube to impressive Vienna where we will finish our tour. The tour will run in the same way as any Peak Tours guided adventure with the magic back up van providing refreshments, most of the lunches provided, bags transferred, quality accommodation and not forgetting our relaxed and jovial guides. This tour is suitable for hybrid bikes and also road bikes as we have found many superb routes away from the river when the surface is rough. If you don’t want the hassle of taking your bike on the plane with you then you can drop it off with us or post it to us and we will take it over for you. Likewise at the end of the tour we will bring your bike back to the UK for you. This tour averages 60 miles a day and generally the route is flatter which allows a more relaxed pace and also more time to explore the area as you cycle through. After our first night and welcome meal in Frankfurt we will be transported to the Middle Moselle region where we begin our “Trip Teutonic”. The poet Ausonius likened the vineyards that frame the Moselle to an “ampitheatre’s rows” and some of our “Peak Tourers” may be prompted into evening bouts of poetry if the wine flows as freely and lazily as the river seems to. We twist and wind our way around beautiful bends in the Moselle carved out over thousands of years. The half-timbered houses, churches and vineyards provide the backdrop for most of the way to Koblenz where we meet with the mighty Rhine and Fairytale castles as camp as Christmas line the banks of the Rhine from Koblenz to Bingen. You get a sense of the importance of this river to the German people with its train lines on both banks and barge traffic, none of which detracts from the historical villages and sights you will see along the way. From Bingen we head inland to avoid some of the rougher sections of track and pass through quiet villages and vineyards until we come to Ladenberg on the banks of the River Neckar. A short stretch along the Neckar takes us to the charming yet touristy town of Heidelberg which is home to one of Germany’s best universities. Chocolate box medieval villages and winding wooded valleys await us as we head through the Jagst Valley to the well preserved medieval town of Rothenburg. Leaving Rothenburg we pass through the Altmuhl Valley to arrive at the Danube at the City of Regensburg. The Danube is one of the most popular cycle routes in Europe, and it’s easy to see why. The Danube has magnificent scenery, monasteries, ancient cities, castles and great little villages all on dedicated cycle tracks and the next four days are the best example of this type of cycling you will encounter on mainland Europe. Finally we arrive at our destination, splendid Vienna, where we will celebrate, hug, feast and explore the city before bidding a fond farewell the next morning. Once you have arrived at your hotel in Frankfurt you will have chance to explore the city followed by our first group meal where we can get to know each other and renew old acquaintances. A brief rundown of the following day will be given before we start our adventure. Morning will take us on a two hour coach ride south west of Frankfurt to the pretty village of Kirsch-Longuich. Kirsch-Longuich is situated in the Central Moselle region on the banks of the Moselle River. We will have time for a quick look round and then some lunch before we start cycling. Your adventure begins at a sedate pace alongside the Trier Valley and The Central Moselle, heading for Bernkastel-Kues and it’s pretty “Marktplatz”, not forgetting of course, it’s wine taverns! As we follow the river round bends shaped over thousands of years, evidence of the Romans’ love of a tipple are everywhere as we pass the site of the unearthing of the famous Roman Wine Ship in Neumagen-Dhron and a gigantic wine press at Piesport capable of creating 12,000 litres worth of headaches! Continuing along the East bank of the river we take the small ferry across to the West side just after the small town of Cochem. You will continue along the perfectly smooth tarmac trails past a number of attractive villages before we arrive at the twin towns of Kobern-Gondorf, home to the oldest half-timbered house in Germany, built in 1321. Our trip along the Moselle culminates in a dramatic meeting of the Rhine and Moselle rivers at Koblenz, overseen by the imposing Ehrenbreitstein Fortress. At Koblenz we turn southwards and leave the gentle Moselle where we begin our section along the mighty Rhine. This noticeably wider river is Western Europe’s longest, and is a working river, serving as the main mode of transportation for goods throughout Europe. The section that we will cycle along is known as the ‘Romantic Rhine’ due to the number of castles and palaces in between the well preserved medieval half timbered towns and villages. Following the banks of the Rhine for a short time we then head inland along quiet country lanes and smooth cycle paths. The Rhine is home to some undoubtedly beautiful scenic sections of which we have had a taster, but it is also home to a number of ugly industrial areas and also some of the cycle path is of poor surface, we rather thought you might prefer coming inland to quiet country lanes, terracotta roofed villages and excellent cycle paths, arriving finally in the gorgeous little town of laid back Ladenburg. After leaving Ladenburg we head to the vibrant university town of Heidelberg, Germany’s equivalent to Oxford or Cambridge. This beautiful city is well worth a look around and is also where we meet the river Neckar for a short spell before heading inland for some much missed hills! Our journey inland takes us through farming villages that will have you guessing which century you’re in, before finally arriving in the village of Jagsthausen by the banks of the river Jagst. Morning sees a gentle start through the Jagst Valley on a fantastically smooth, undulating, ambling, winding, river ride, before leaving the relative ease of the river and climbing up for a birds eye view. As we make our way through the forests and winding roads of the cracking German countryside the pine scented air and smell of freshly hung lederhosen will invigorate our senses close to bursting point. Leave a space for later in the day however as our destination is the best example of an ancient walled city in the whole of Germany, the chocolate box perfect, medieval, magical, Rothenburg ob der Tauber. This amazingly well preserved medieval city as a fantastic place to have a rest and explore. Rothenburg-ob-der-Tauber is Germanys best preserved walled town and you can walk around the town walls to view the numerous attractive buildings that the town has to offer. The town is busy with tourists during the day but once the day trippers leave the atmospheric town centre is all yours to wander the moonlit streets. Day eight sees us cycling through the stunning State of Bavaria with its pine forested hills, quaint little villages and lush valleys. Tackling some hills in the morning will give us an appetite for lunch and then we see the terrain become flatter and a wonderful afternoons riding is in store with a downward trend for miles through this lovely part of the world. A real sense of adventure is in store today as, from our humble beginnings on the peaceful Moselle, we are finally heading nearer towards the jewel in the crown that is the mighty Danube. Pushing ever eastwards we make our way through the seclusion and nature of the Altmuhl and on to our evenings accommodation and gateway to the Danube, Bavaria’s interesting, laid back, historical capital Regensburg. Not too long after leaving Regensburg in the morning we pass the town of Walhalle and its impressive neo classical structure which is well worth a steep but rewarding detour. The cycling is pleasurable and there are plenty of distractions along the way, including the beautiful old city of Straubing with it’s sixty metre tower. Later in the day we pass through Deggendorf and continue to Niederalteich where we stay in a Benedictine Abbey. Founded in 781 the Abbey is run by monks and a truly unique place to stay. Today sees us riding by Abbeys and ruined castles with great views of the Donau Valley if you decide to visit them. As the day progresses a scenery akin to that of The Lake District unfolds as we make our way through pleasant undulating tree-lined cycleways and byways. You will notice the houses becoming more frequent as we approach the large town of Passau also known as the “town of the three rivers”. Continuing along a spectacular part of the provides some truly fantastic cycling. We stay in Inzell which is located on a bend in the river called the Scholgen Bend. There is a strong echo here so you can practice your yodelling should you desire. We are into beautiful Austria now, and the last few days from Inzell to Vienna are, barring a few exceptions from time to time, spent on fantastic, traffic-free, delightfully smooth surfaces. This day is no exception and we pass attractive market towns and rococo churches on a course for the greatly underestimated beauty of Linz. The Danube is ever present for most of the day today as we pass through the striking scenery around Grein and the smaller settlements on der Donau. In the afternoon the route passes through Melk and the imposing Benedictine Monastery is well worth a visit if time permits. As we head towards the Wachau region the scenery becomes more dramatic and the villages older and prettier. Our stay in Weissenkirchen is one of the most charming villages along the Danube. It’s our final day in the saddle today and as we pass Willendorf look out for the Venus of Willendorf, a Paleolithic stone statue of interesting proportions! On we go past the castle at Durnstein where Richard The Lionheart was held prisoner and then Gottweig Abbey dominating the skyline before our final stretch through ancient towns and onto the splendour that is Vienna where we finish in the grandiose square. We highly recommend exploring this beautiful city if the luxury of time permits and wish you well until the next adventure. The tour price includes 15 nights accommodation, 15 breakfasts, 11 lunches, snacks, Tea, coffee, & hot chocolate, full trip support including a tour leader that cycles with the group, back up van with spare parts and a few spare bikes, detailed route notes (and gps files) so that you can cycle at your own pace, luggage transfer each day, transfer from Frankfurt to the Moselle. Flights, Evening meals, 3 lunches, cycle hire. Accommodation is in clean and comfortable, B&B’s, guesthouses and hotels. Either sharing a twin or a double room or, if you would like your own space then you can choose the single room option or sole occupancy of a double. Most of the rooms are en-suite however there maybe a few nights where your room isn’t en-suite (sole occupancy of a double room is guaranteed e/suite). The route starts from south west Germany just north of Trier and is approximately 750 miles in length. The terrain is mostly flat and undulating although there are a number of hillier days in the middle of the tour. The average distance per day is 57 miles. The arrival destination is Frankfurt in Germany and the end destination is Vienna in Austria. All of your breakfasts and 11 lunches are included in the price of the trip. You will have a choice of continental breakfast which includes toast, cereals, fruit juices, cheeses, cold meats, tea, coffee etc. Lunches will be provided each day and will generally be a buffet at a cafe or restaurant or sometimes a buffet will be provided from the back up van. Evening meals can be bought at your accommodation or in a nearby pub/restaurant. We also have fruit, biscuits, nuts etc in the back up van that you are welcome to pick at throughout the day. We highly recommend that you use a bike that you are used to and feel comfortable riding. Your bike should be fully serviced and in good condition before you start, this will reduce the risk of mechanical problems and unnecessary stoppages along the way. Either a road bike or a hybrid bike is preferable however the ride can be done on a mountain bike if you prefer. We have a range of bikes available for hire if you don’t have your own. 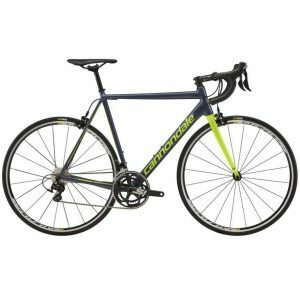 We will take your bike over for you if you bring it to us before hand and we will take it back for you at the end of the tour as well (free of charge if you drop off and pick up or £70 if we box the bike and post it to you). This tour is suitable for anyone with a good level of fitness. The tour is easier than our Lands End to John o Groats tour to allow a more leisurely pace and time for exploration and sightseeing. Clothing for all weathers is recommended so waterproofs are essential. A full recommended kit list is provided and we are always happy to answer any questions that you may have. It is highly recommended that you take out adequate insurance to cover against, personal accident, loss of belongings and cancellation cover. What happens at the start of the tour? The tour starts in Frankfurt on the first Saturday. Our guides will be around in Frankfurt on Saturday morning ready to meet you when you arrive. We have a group meal on Saturday night and then the cycling starts on Sunday. We can take your bikes over for you so that you don’t have to take them on the plane. You can either drop them off with us in Glossop, Derbyshire beforehand or meet us on the Thursday before the tour starts as we drive down to Dover. We will stop near Birmingham and at South Mimms services on the M25 (this may change according to the requirements of each individual group). Alternatively you can post your bike to us and we will take it over for you. The final days riding is on Saturday and we will arrive late afternoon into Vienna where we have our final night’s accommodation. We will have our final group meal here (and no doubt a few drinks as well!) ready to head home the following day. The guides will drive the vans back to England early the next morning and so won’t be able to offer transfers to the airport but the journey from the hotel to the airport is 30 minutes by taxi or 40 minutes by Bus (these run every 10-15 mins). Your easiest option is to drop your bike off with us beforehand and will will take it over for you and bring it back at the end of the tour – there is no charge for this option. We are based in Glossop, Derbyshire so this may not be a convenient option for you. Another option is to take your bike with you to the start of the tour and at the end of the tour you can either take your bike with you on the plane (we will provide a cardboard box and packing material for you and help you to box your bike) or alternatively we can take your bike back to the UK for you and box your bike and post it too you – there is a charge of £70 for this option. Another option is to rent a bike from us. Whatever arrangements you make we will be happy to help. How difficult is the tour? The tour is easier than our other 2 week tours tour which allows more time to visit villages, wineries, churches, castles etc, or to simply just take it easy! We don’t expect you to be an expert bike mechanic but there are a few simple skills that will be a great benefit to you. The most important skill you need to know is how to fix a puncture. It is possible that at some point you will have a puncture or two so it is essential that you carry a puncture repair kit & a spare tube or two with you. It is also helpful if you know how to change your brake pads and adjust your brakes and gears however this isn’t essential. Our guides will help you with any repairs and adjustments en-route. We will have a designated lunch stop each day where a buffet lunch will be provided. Generally lunch will be a buffet in a pub or a meal in a café and on a couple of days we will have a picnic in beautiful countryside. We will have plenty of food available and will cater for any special dietary requirements. No, a tour leader cycles at the back of the group so that you won’t be left behind if you are worried about cycling too slowly. Throughout the group there will be a mix of abilities and cycling speeds so you will usually be able to cycle with others that cycle at a similar pace. Some people like to cycle fast whilst others prefer to take their time, stop for coffee & cake or stop to take photos etc so whether you are a ‘speed demon’ or more of a ‘tourer’ there usually will be someone to cycle with each day. Obviously each group is different but generally they are a fun, friendly, helpful & adventurous bunch. There will be people of all ages and from all walks of life. We tend to get quite a few older riders although there will always be a few younger riders as well. So far our youngest rider (for the Lands End to John o’Groats tour) was 15 & the oldest (for the Channel to Med Tour) was 82. We think that a group of 20-25 is ideal as there will be plenty of people with similar interests & character without being such a big group that it becomes too much. Many of the people on this tour will have cycled on a tour with us previously so you may even bump into someone you know! Once you have arrived at your accommodation you should have chance for some time to relax, have a shower etc before the evening meal. We usually arrange somewhere to eat for the evening meal so that we can all get together & you won’t be left alone if you would like to eat with others. Quite often will simply arrange a certain pub to meet up & just drift in when you are ready whilst at other places we have a set time to eat – it just depends on the location. No, the back up van doesn’t drive behind the group at all times but the van shouldn’t be too far away if you require assistance. In the morning we have a group brief and set off cycling, meanwhile the backup driver will collect all the luggage from the various B&B’s and hotels. Once all of the luggage has been loaded, the support vehicle will leapfrog the group stopping when necessary. The backup driver will be at the lunch stop should you need anything from the van & in the afternoon will go on ahead to ensure that your luggage is in place before you arrive. There is limited space in the back up van to store luggage. We therefore request that you try to keep your luggage size to a minimum and try not to bring too much with you. Washing clothes can be done en-route so you shouldn’t need to bring a clean set of clothes for every day. The ideal size for luggage is 70 x 50 x 30 cm and a weight of 15-18kg (or less). 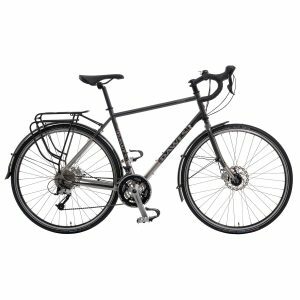 The most suitable bike for this trip is a road bike, however it is entirely up to you what type of bike you use. Tyre inflation & rubber composition is important & a tyre width of 25mm is recommended for this tour. Please ensure that you have hard wearing tyres with plenty of tread. 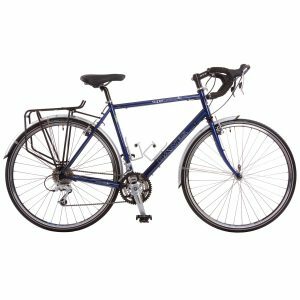 You are going to cycle over 300 miles so it is important that your bike won’t let you down. 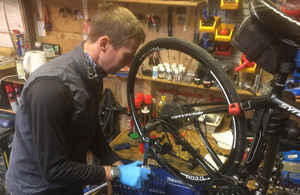 You may want to fit new brake blocks, tyres & inner tubes before you start the ride and also bring 3-4 spare inner tubes, pump, puncture repair kit and multi-tool to carry with you each day. It is essential that you are able to fix a puncture. It is also advisable to have lights from & rear lights on your bikes and try to be a visible as possible. It is advisable to use your own bike if possible however we realise that it is not always possible to use your own steed so you may wish to hire one. 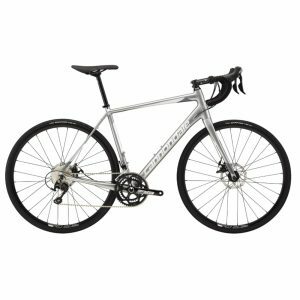 We have two types of road bike and three types of hybrid/touring bikes bike available. 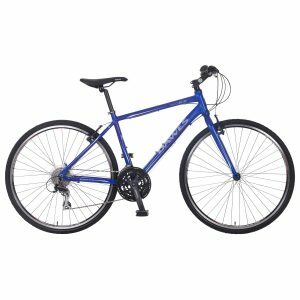 Details of these bikes can be found by clicking on the ‘Tour Extras’ tab. All of our hire bikes come fitted with cycle computer, pump, 2 water bottle cages, bell and front and rear lights. There is also a small saddle bag with a spare tube, multi-tool, puncture repair kit & tyre leavers. We can also provide a helmet for you at no extra cost. This varies with each group. There are usually more guys than gals but an average would be about 1/3 ladies & 2/3rds gents. They are beautiful! The route that we have chosen takes us through some stunning scenery and alongside three of Europe’s prettiest and most majestic rivers. Also, towards the end of the tour between Krems and Melk, we cycle through “The Wachau”, which is a beautiful UNESCO World Heritage Site of ancient villages and steep sided vineyards. Cycling in Germany & Austria is much better set up than in the UK so we avoid busy roads for the vast majority of the time. DUE TO ‘BREXIT’ AND THE EVER DECREASING VALUE OF THE POUND WE MAY HAVE TO APPLY A SMALL SURCHARGE TO THIS TOUR IF THE SITUATION DOESN’T IMPROVE. PRICES WERE SET BEFORE THE ‘BREXIT’ VOTE AND SINCE THEN THE POUND HAS PLUMMETED AGAINST THE EURO. IF THE POUND CONTINUES TO FALL THEN UNFORTUNATELY WE WILL HAVE TO APPLY A SMALL SURCHARGE TO THE TOUR. IF WE DO HAVE TO APPLY A SURCHARGE THEN YOU WILL BE ENTITLED TO CANCEL AND HAVE A FULL REFUND. WE HOPE THAT THIS WONT HAPPEN BUT IT IS NECESSARY TO MAKE OUR CUSTOMERS AWARE. Tour organisation was excellent – hard to fault it! The tour was excellent, had a wonderful time! Excellent tour which was extremely well organised and run. I thought the route was very good, with some stunning scenery and it was fantastic to cycle by the rivers. I cannot fault the tour organisation, as a customer, everything worked seamlessly. I chose this tour, for ease of the ride and the fantastic architecture, and was not disappointed. Have done 5 – this could have possibly been the best. I was amazed at the German paths, outstanding. I must have said at least a dozen times on the cycle, how do you find these routes? The first week was challenging in parts. The route in Austria was fabulous cycling along the Danube, beautiful. The food? Amazing, I loved every mouthful. I am particularly fond of nuts and fruit, I couldn’t believe my eyes at the first stop, I thought I had reached food paradise! ALL the food was amazing! We had a great cycle and I was very impressed with Peak Tours. Tina and Connie were brilliant. Once again, fantastic back up, guides and organisation. Ive booked my 4th tour, soon you’ll only have space for repeat bookers and we’ll become an incestuous lot of Steve’s Lycra disciples. The route was good and very beautiful. After a few days on the river banks it was good to get into the high country which was amazing and for me the best part of the tour. The German and Austrian bike paths are so great and it was good to hardly need to ridge on the roads. 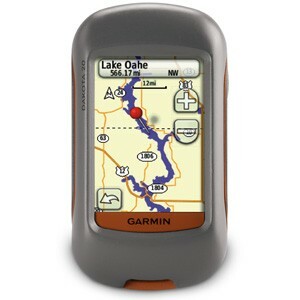 The Garmin routes were very accurate with one minor exception when we were directed onto rough tracks but that was of no real consequence. We were privileged to stay in a range of typical German hotels/B&B’s which gave a great local flavour to our tour.